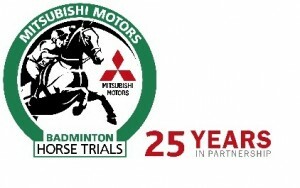 Mitsubishi Motors 25th year as sponsors of the Badminton Horse Trials (4-8 May) is marked by one of the strongest ever fields of competitors. The highlight is undoubtedly the return to top flight competition after serious injury last autumn of both William Fox-Pitt (Parklane Hawk) and Andrew Nicholson (Nereo and multiple Burghley winner Avebury); the German presence is headed by Olympic Champion Michael Jung with La Biosthetique Sam, accompanied by Ingrid Klimke, twice 2nd at Badminton, Andreas Dibowski, Bettina Hoy and Andreas Ostholt. Michael Jung also plans to take one horse to Rolex Kentucky, which after his Burghley win in 2015 gives him a shot at the Rolex Grand Slam of Eventing, should he win in Kentucky. Competition for the 4 places in the New Zealand Olympic team looks to be especially hot; Mark Todd has two rides, Blyth Tait returns after a 13 year absence, previous winner Jonathan Paget brings Clifton Promise and Clifton Lush, while husband and wife Tim and Jonelle Price will challenge these and Andrew Nicholson for places in Rio. Notable British entries include former world champion Zara Tindall with her London Olympic and World Equestrian Games ride High Kingdom; previous winners Pippa Funnell and Oliver Townend; regular team members Tina Cook and Nicola Wilson; and several riders with a real chance of earning a ticket to the Games such as Gemma Tattersall, Izzy Taylor and Laura Collett. 2016 also sees a strong American contingent headed by multiple medallist Phillip Dutton, Boyd Martin with a choice of 4 rides, Buck Davidson and Lynn Symansky. As always the Irish will be out in force, with another husband and wife combination in Michael and Patricia Ryan, Aoife Clark, Joe Murphy and Camilla Spiers. The Australians have always rated Badminton highly as a prelude to Olympic Games – they have two previous Mitsubishi Motors Trophy winners in Paul Tapner and Sam Griffiths, together with Christopher Burton and Bill Levett. 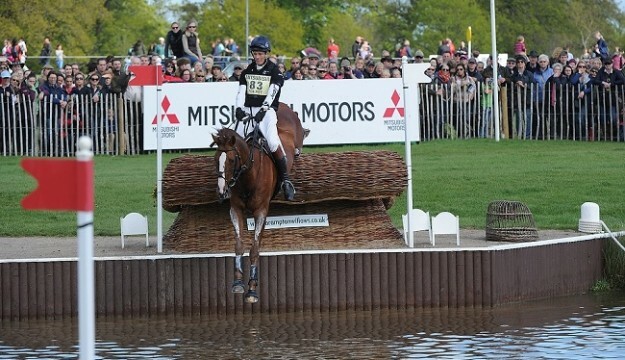 25 years after her mother Mary won the first Mitsubishi Motors Trophy, Emily King hopes to make her debut at Badminton with Brookleigh. Your groups will love the exciting atmosphere, choice of food and great shopping at this top, international event, located in the grounds of beautiful Badminton House, Gloucestershire. For groups travelling to Badminton by coach there are group rates if tickets purchased in advance. Coaches will be directed into the coach park and there’s free admission for the driver.